To launch a storage installation wizard for Universal Storage API integrated systems, perform the following steps. In the displayed window, click Show more vendors and select the storage system that you want to add. To launch the installation wizard for NetApp SolidFire storage systems, in the displayed window select NetApp > Element. In the inventory pane, right-click the necessary storage system and select Add Storage. 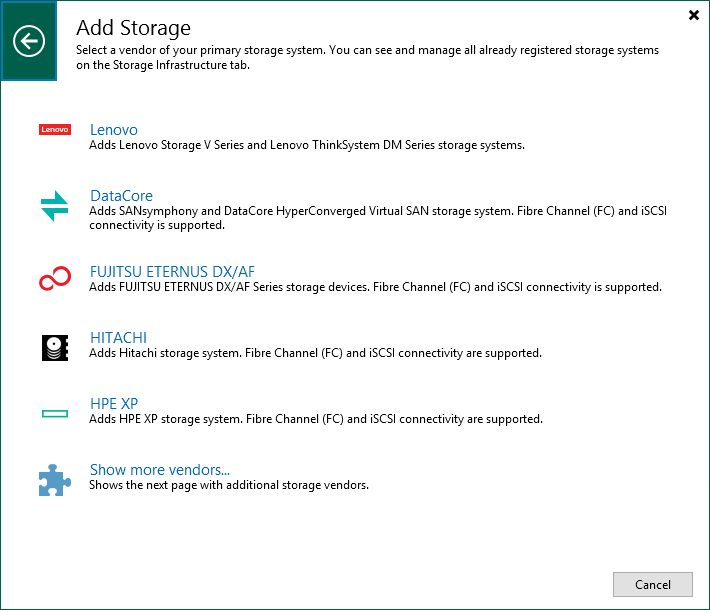 Alternatively, you can select the necessary storage system in the inventory pane, right-click anywhere in the working area and select Add storage.